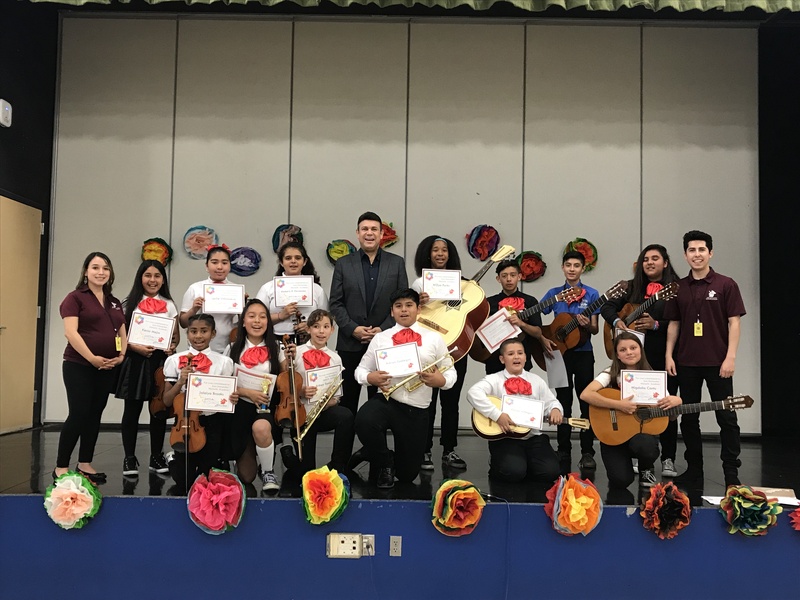 Mariachi master José Hernandez founder of his world-renowned Mariachi Sol de México keeps the mariachi legacy alive, teaching Junior High School students the art of mariachi music via his Mariachi Heritage Society. 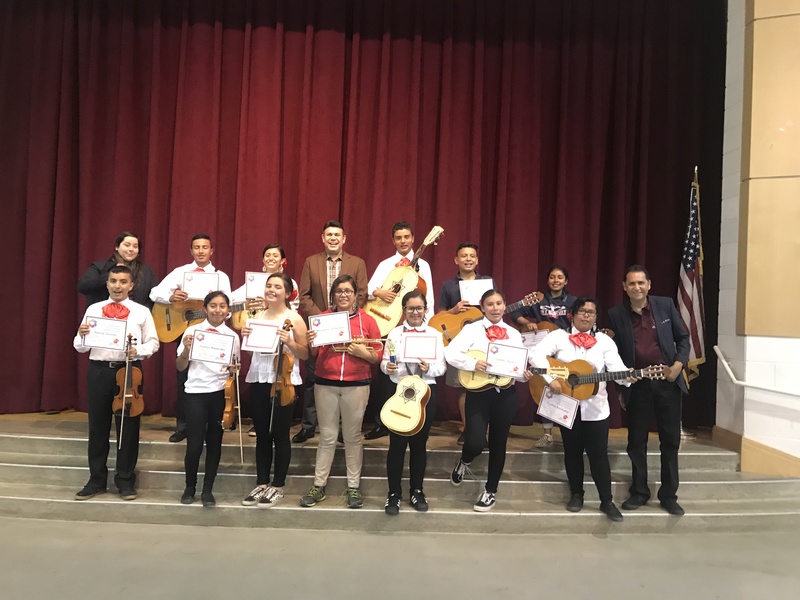 The nonprofit organization he founded in 1991 provides quality mariachi music and folklórico dancing education to young students ages 7-18. 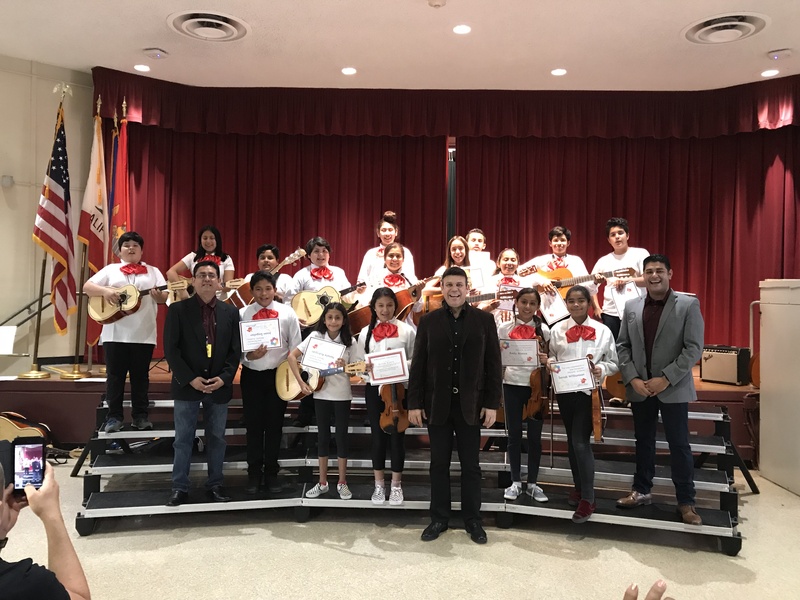 He recently attended graduation ceremonies of students at three Orange County Junior High Schools: Villa Jr. High, Jose Mendez Jr. High and Mcfadden Junior High. (LEFT: José with students at Mendez Jr. High). José Hernández and his Mariachi Sol de México will appear in concert at La Mirada Theatre for the Performing Arts on Saturday, June 30. The Grammy-nominated, internationally-acclaimed mariachi promises to deliver a program of memorable mariachi favorites the same day their new CD Leyendas demi Pueblo goes on sale. For tickets, call 714-994-6310 or (562) 944-9801 or Click to buy tickets online. (LEFT: José with students at Villa Jr. High). (LEFT: José with students at McFadden Jr. High).